A barbecue restaurant in Dallas is opening the door for new business and development. Babb Brothers BBQ and Blues sits at the base of the Margaret Hunt Hill Bridge in West Dallas and is part of a major revitalization project called Trinity Groves. The restaurant's owner, Mike Babbs, said his food is bringing soul to West Dallas. "It's awesome. It's something we've been waiting for," Babbs said. His restaurant is the first place to open in Trinity Groves, an entertainment, restaurant and retail district located on the west side of the Margaret Hunt Hill Bridge. 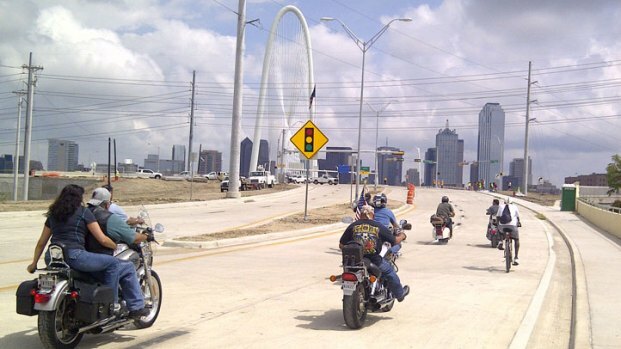 The first vehicles, motorcycles and a Vespa, rolled eastbound toward downtown Dallas at around 1 o'clock Thursday afternoon. The bridge will open in stages. "We are the face. We are the first ones open. We are expected to do well out of the gate so people will come down to this area," Babbs said. Though Saturday night was full of celebration, the Trinity Groves project was originally met with opposition. Residents were concerned that development would invade their neighborhood. 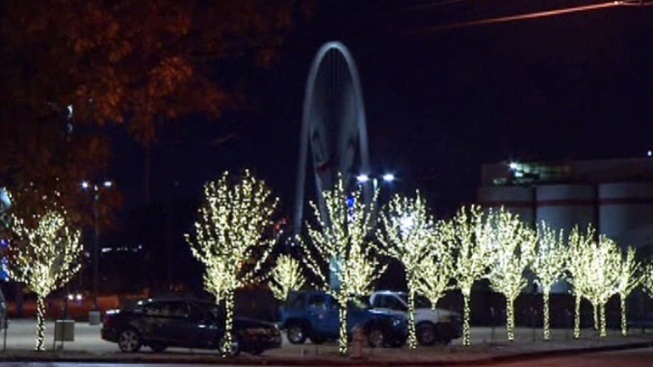 The Dallas City Council approved a deal that pleased neighbors and developers. Mayor Mike Rawlings was among Saturday's crowd ushering in a new era. "When I first saw the plan for West Dallas, I was excited and had a sense of urgency to get it done. So, the day has finally come where you can get right over the bridge and eat some great barbecue. It's an exciting time," Rawlins said. 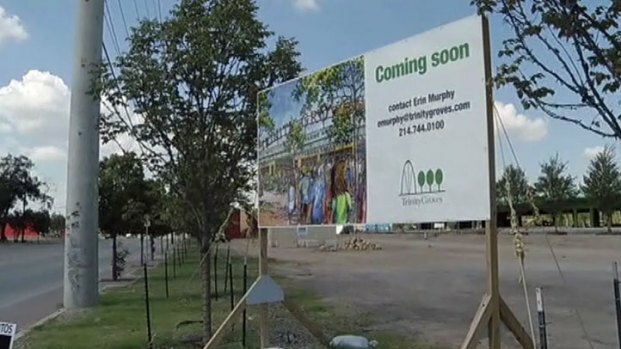 Dallas City Council approved a plan Wednesday that ends fighting between neighbors and developers over the development near the Margaret Hunt Hill Bridge in Dallas.